Have you ever experienced a power outage during business hours or at home when you needed electricity? Chances are you have been caught off guard more than once simply because you didn’t have one thing nearby… Honda Generators! 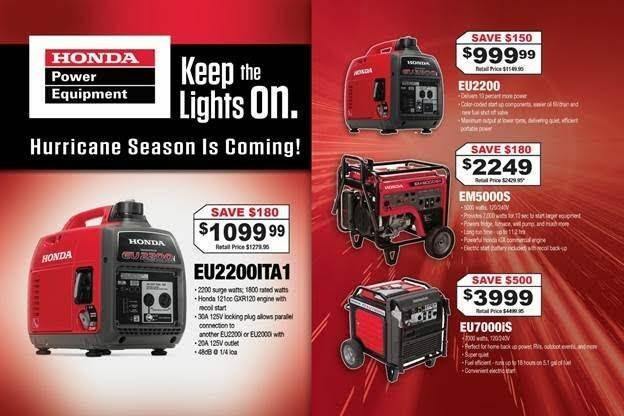 At Suburban Lawn Equipment in Delaware, we encourage our customers to purchase Honda Generators to keep your business going and protect your family during power shortages. If you’re a business or homeowner who thinks of purchasing one, here’s everything you need to know about Honda Generators. Consult your local outdoor power equipment provider. Generator experts will not only advise you which model will suit your needs best, but they will also provide you with essential tools to get your equipment up and running in no time. Use generators outdoors only and away from any windows. To keep the toxins out of your home, install a battery operated CO alarm as an extra safety net. Check the noise levels before your purchase. Many areas have noise ordinances that may impact generator usage, particularly at night. Do not use Honda Generator in the rain. If that’s not possible, do your best to shield it from moisture to avoid electrocution. Never refuel a generator when it’s on. Always cool your equipment down first. It’s easy to cause a fire when gasoline or other flammable liquid spills onto a hot surface. Don’t feel intimidated. There’s no special training required in order to operate your new power generator. 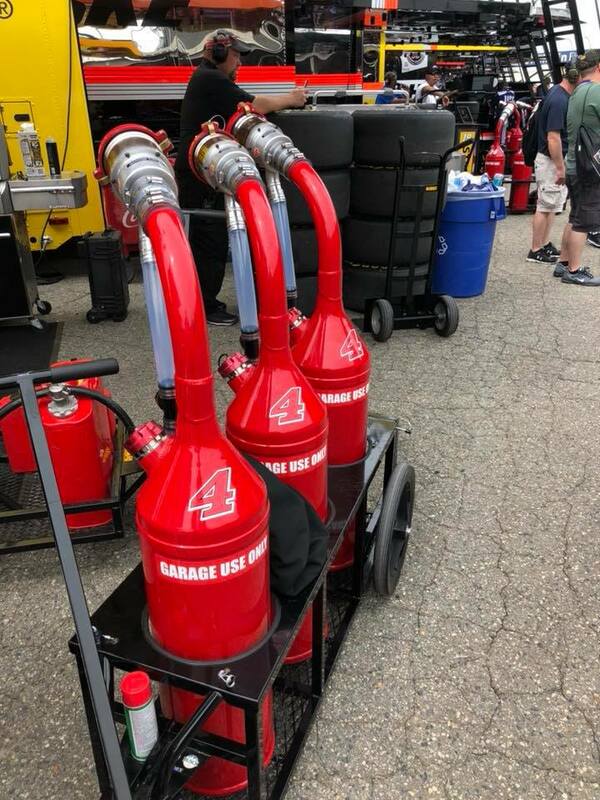 In addition, most standard generator models are equipped with wheels and a handle, making it completely mobile and ready to transport from one place to another. Here’s more reasons why your business needs a Honda Generator. This entry was posted in commercial outdoor equipment, Honda Generators Delaware, Outdoor Power Equipment and tagged commercial outdoor equipment, Honda Generator Dealer Delaware, Honda Generators, Honda Generators Delaware, honda outdoor power equipment, Outdoor Power Equipment Delaware, Suburban Lawn Equipment on July 17, 2018 by Suburban. 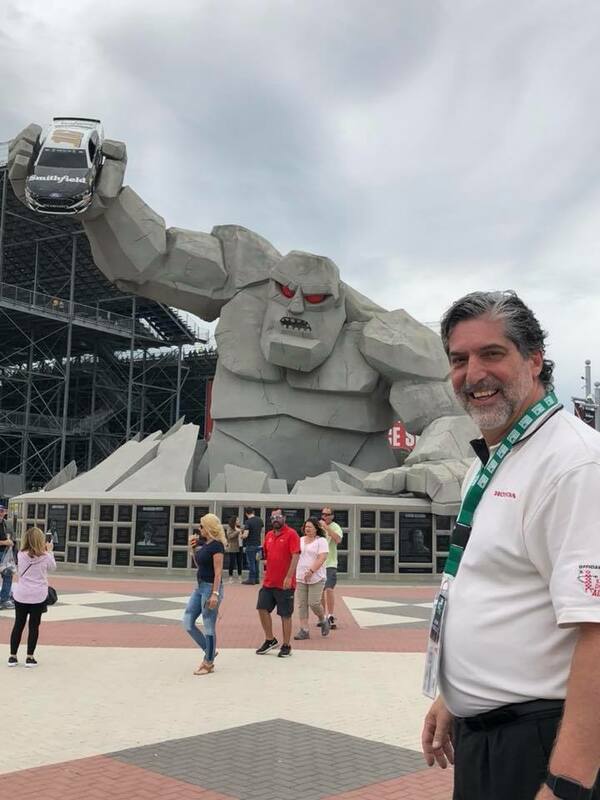 Suburban Lawn Equipment’s owner, Tony Petruccelli, checking into Dover International Speedway! We have been serving the Tri-State area since 1981, and we’re proud to say that Suburban Lawn Equipment makes customers for life! Want to be part of our tribe? 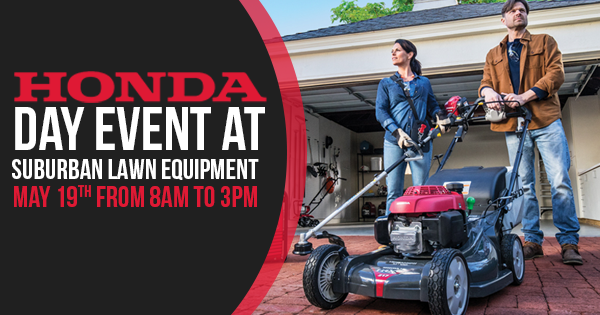 Stop by our Honda Day Event on Saturday, May 19th from 8:00AM to 3:00PM! WJBR will be doing a live radio broadcast from our parking lot! Enjoy $20.00 OFF all Honda units (except The HRR2169VKA, which is already sale priced at $399.99), an extended warranty by 1 year, financing, deals, demos, food, giveaways & more! See how we spend Honda Dealer Days at Suburban Lawn Equipment last year! 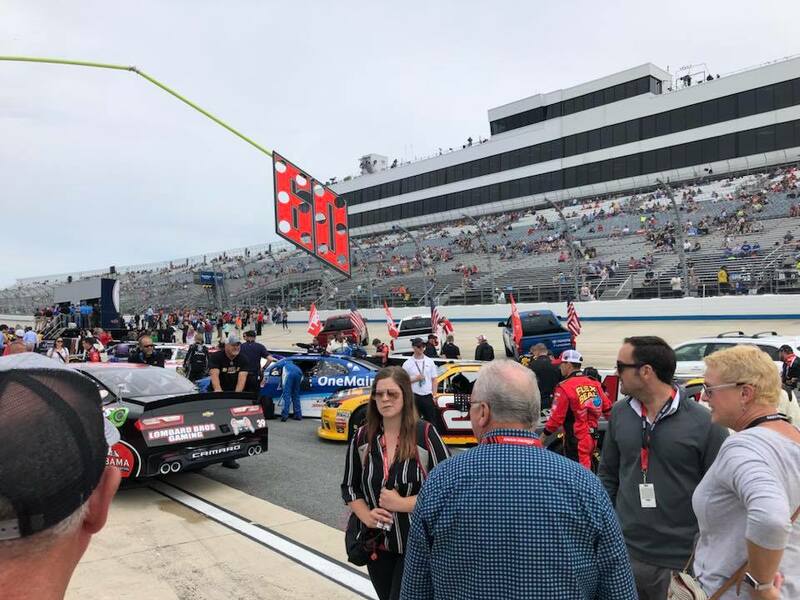 This entry was posted in commercial outdoor equipment, Honda Generators Delaware, Outdoor Power Equipment and tagged Dover Downs International Speedway, Honda Dealer Delaware, Honda Generator Dealer Delaware, Honda Generators, honda outdoor power equipment, Honda Power Equipment Delaware, Nascar Race, Suburban Lawn Equipment on May 17, 2018 by Suburban. In today’s post, we’d like to bring back your attention to the Honda Generators, just in case they’re still not a staple power equipment at your home or business. At Suburban Lawn Equipment, we believe no matter what kind of business you run, you should always have a Honda Generator on hand. Don’t believe us? Read this article explaining why all businesses could benefit from it in a long run. Have you ever experienced a blackout in your neighborhood or workplace? Here’s 5 Reasons Why You Need Honda Generators During Power Outage. Don’t know how to get started with your new Honda Generator? Check out the below instructions. 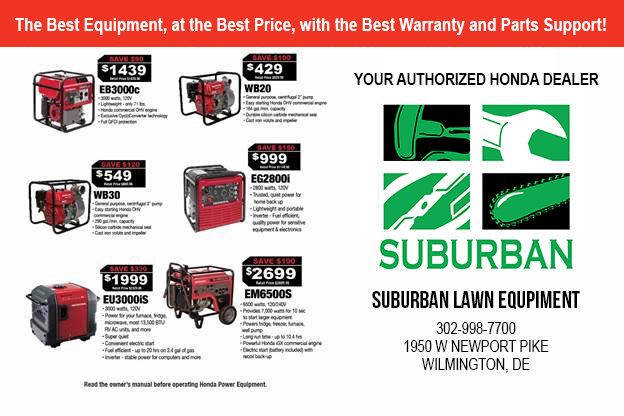 Suburban Lawn Equipment is a premier Honda Generator Dealer in Delaware. 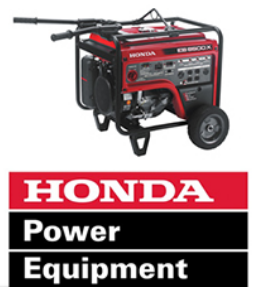 Find a large stock of new and pre-owned Honda Generators at our store in Wilmington, DE. The best part? We don’t just sell equipment, we service it as well! This entry was posted in Commercial Lawn Equipment, Honda Generators Delaware, Outdoor Power Equipment and tagged Honda Dealer Delaware, Honda Generator Dealer Delaware, Honda Generators, Honda Generators Delaware, honda outdoor power equipment, Honda Power Equipment Delaware, Outdoor Power Equipment Delaware on August 8, 2017 by Suburban. Why do I need a Honda Generator for my Delaware business? If you have ever asked yourself this question, then this would a good time to pay attention. When your business loses power that also means you are losing profit. Being without power for a significant amount of time will also damage your reputation and credibility as a business owner. What type of industry would benefit from a Honda Generator? Grocery Stores- When faced with a power outage, food inventory is at risk for damage. When you are backed up with a Honda generator, you won’t ever have to worry about your food spoiling again! Office/Banking- Most, if not all, data is kept on a computer. If this information is lost during a blackout, this could be detrimental to not only your business, but your customers as well. When you own a Honda generator, you and your customers will be protected from a huge potential loss. Healthcare- Loss of power in the medical industry could be the deciding factor between life and death. It’s absolutely crucial to have back up support, so that your patients are safe and protected from a tragedy. Government Officials- When an emergency strikes, the first person we call is 911. Police officers and firefighters cannot risk being without power, because they are always on call to be someone’s hero. Having a Honda generator will ensure protection for everyone! 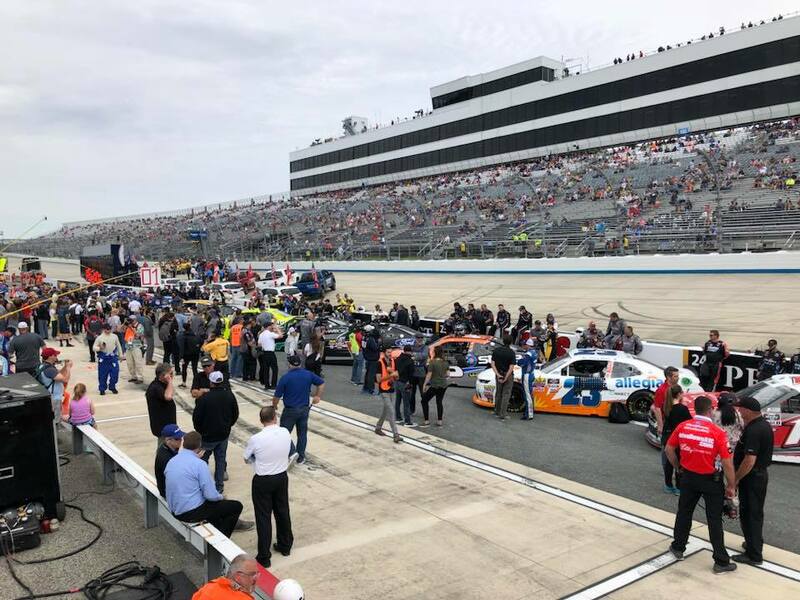 This entry was posted in Honda Generators Delaware, Outdoor Power Equipment and tagged Honda Generator Dealer Delaware, Honda Generators, Honda Generators Delaware, Honda Power Equipment Delaware on August 19, 2014 by Suburban. Don’t be left out in the dark.The best time to purchase a Honda Generator is before an emergency strikes. At Suburban Lawn Equipment in Delaware, we encourage all customers to understand how to properly use the Honda Generator. Read and follow the manufacturer’s instructions. Before using a Honda Generator it is important to read the manual to avoid hazardous situations and guarantee the proper use of the generator. Do NOT use a generator inside your home or business. Generators emit carbon monoxide (CO), which can be deadly if used in your home, business, or small areas (basements, garages). It would be ideal to install a battery operated CO alarm inside your home or business as an extra precaution from toxins. Utilize a heavy-duty extension cord. Make sure to never use an extension cord with visible wires. Heavy-duty extension cords that are specifically used for the outdoors are recommended. Avoid using Honda Generator in the rain. When used in the rain, there is a risk of shock or electrocution. We recommend waiting for the rain to pass before using your Honda Generator. If you cannot wait, it is crucial that you shield the Honda Generator from moisture. Turn off Honda Generator before refueling. It’s important to let your portable generator cool down before refueling. If gasoline or any other flammable liquid is spilled onto a hot surface, this could cause a fire. 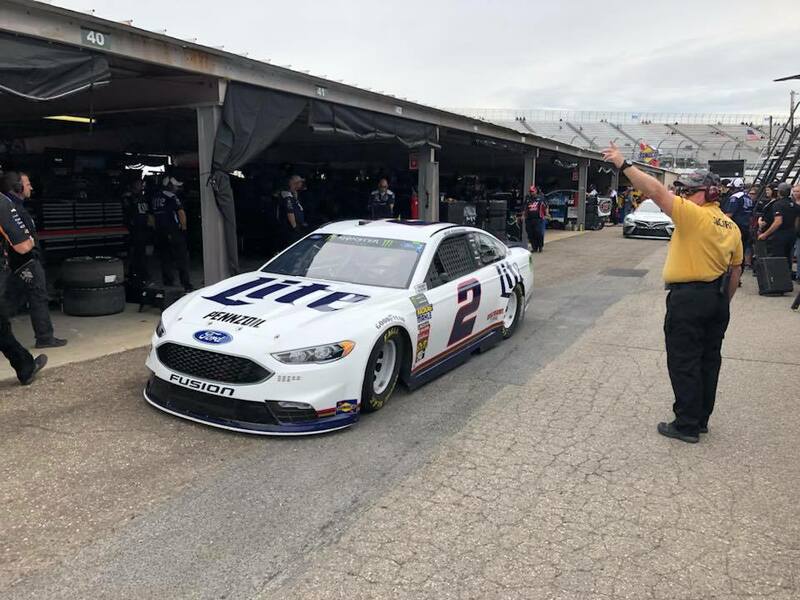 This entry was posted in Honda Generators Delaware, Outdoor Power Equipment and tagged Honda Generators, Honda Generators Delaware, Honda Power Equipment Delaware, Outdoor Power Equipment Delaware on August 5, 2014 by Suburban. On The Fence About Purchasing A Generator? There are great benefits to owning a Honda Generator For Your Delaware Home. Why buy a Honda Generator when you can just wait for the power to come back on? If you have ever asked yourself this, then you may want to consider these 5 benefits of having a Honda Generator available when an emergency strikes, leaving you out in the dark! 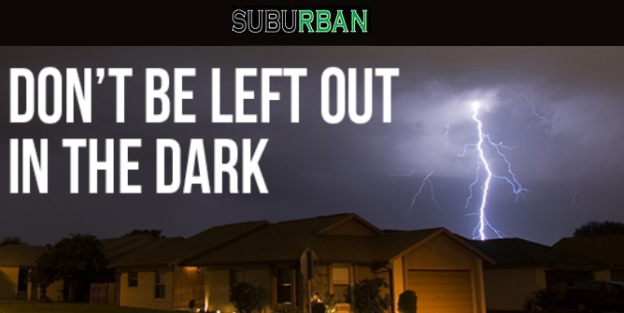 During an electrical blackout, your household may be in disarray. 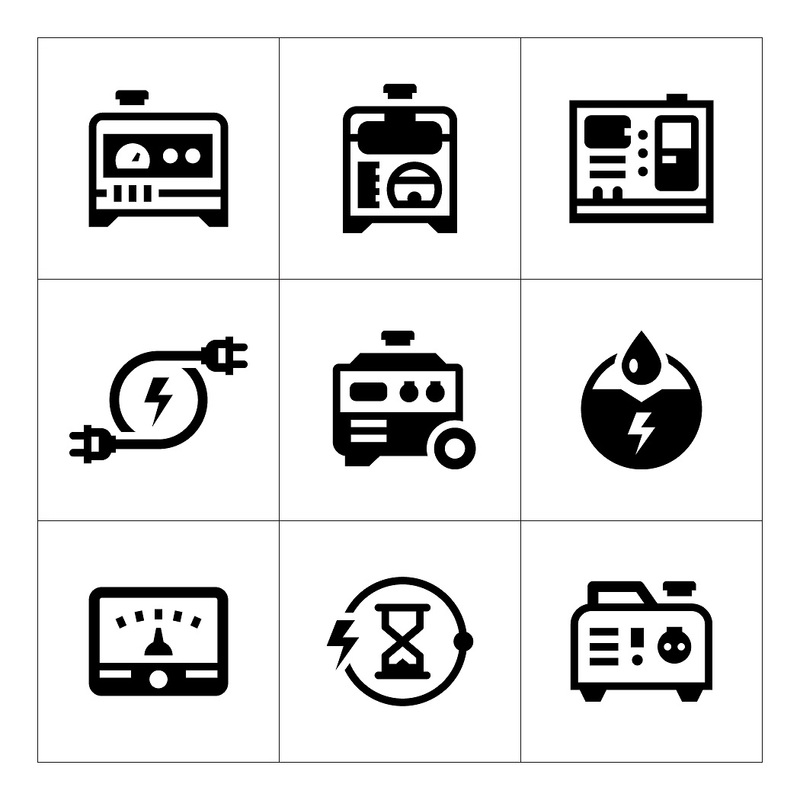 Most household appliances rely on electric to generate usage. But you won’t ever have to worry about your food spoiling in the fridge or freezer with a Honda Generator. Most standard models are equipped with wheels and a handle, making it completely mobile and ready to transport from one place to the next. You do not need special training to operate the Honda Generator, anyone can do it. And here, at Suburban Lawn Equipment, we will give you the essential tools to get your generator up and running. If you enjoy being one with nature, but are accustomed to the modern day lifestyle, owning a portable generator is the perfect solution. It can be used to power a variety of appliances used in RV’s and on traditional campsites. A portable Honda Generator comes in handy when your business loses power. Making it possible for you to get back to business, as usual! Are you ready to buy a Honda Generator? 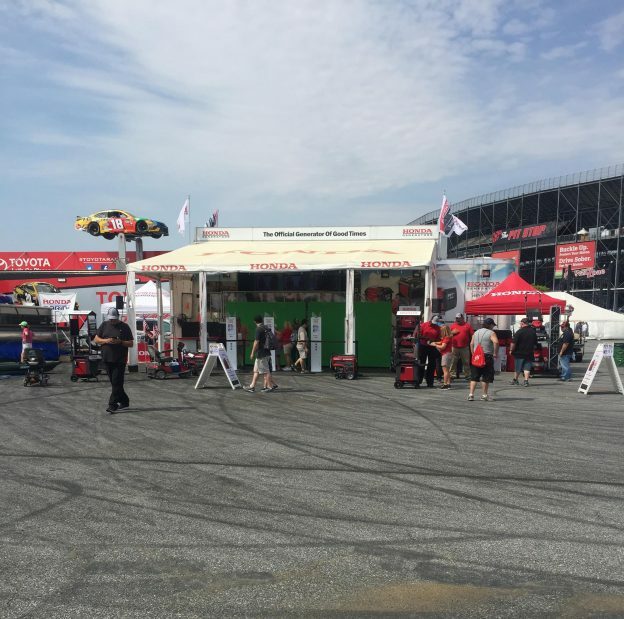 This entry was posted in Honda Generators Delaware and tagged Honda Generator Dealer Delaware, Honda Generators, Honda Generators Delaware on July 16, 2014 by Suburban.